Characters born into the celebrated Viz comic strip, ‘Drunken Bakers’, are here for the first time immortalised in a book. A day in the life: the decline of the independent bakery, and the steeper decline of the independent bakers within it (cake and bargain booze included). A harsh reality displayed without apology, elbowing its way into our comfort zone bringing laughter and the smell of stale beer. 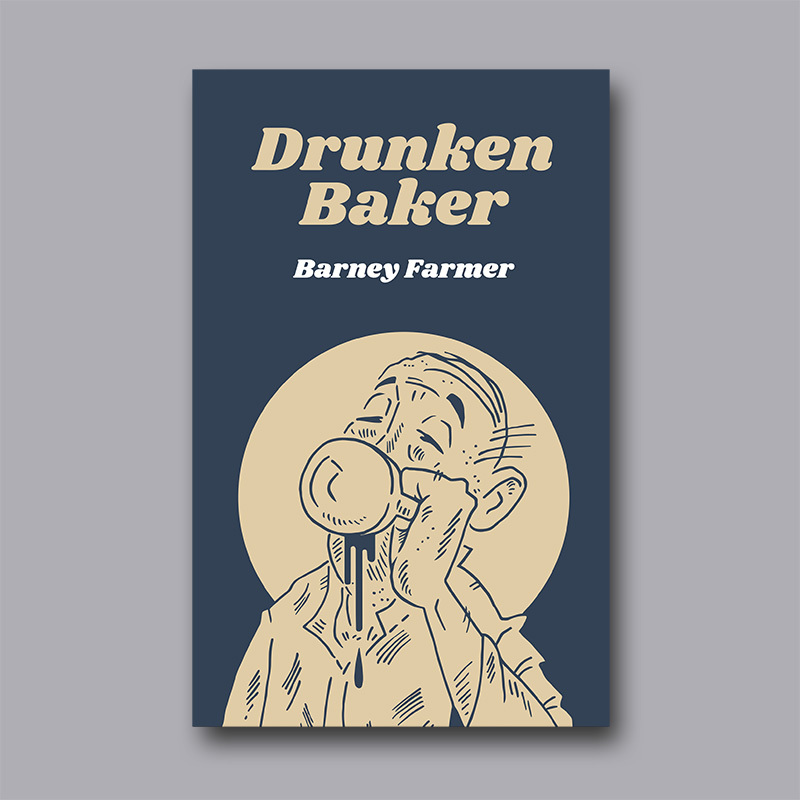 At Wrecking Ball Press we wait in great anticipation for stuff like Drunken Baker by Barney Farmer to drop through the letter box. It’s what we do… A fisherman waits for a fish to bite. A hypochondriac waits for death. Vladimir and Estragon wait for Godot. Bob waited in vain. We wait for the barman to catch our eye. We count the minutes before it’s time to go. The prisoner waits for sentence. I’m waiting on a call. We’re all waiting to be seen. We all watch the news, hold our breath and wait for sense. We play the waiting game. All publishers wait for the next great book. We’ve been waiting 21 years and it’s finally arrived.